Xyte, Inc. is a business leader in identifying the innate strengths of individuals. Like the athlete who flashes natural athleticism, every individual has distinct gifts or natural inherent strengths in other areas. You may be a natural writer, actor, truck driver, farmer, teacher, nurse, construction worker, welder, engineer, chemist, plumber, electrician, preacher, and psychiatrist. Understand and use your natural strengths! Xyting Insight™ brings the science of the mind to everyone. Everyone can benefit from the values provided whether an individual, educational institution, employer, or military. We know that everyone isn’t exactly the same. Society needs to acknowledge each person’s strengths and what they uniquely offer to all of us, including how to best help people develop and use their strengths in jobs to increase personal fulfillment and commitment to employers. 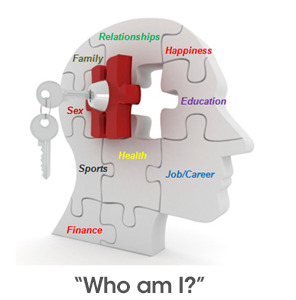 Leveraging each individual’s cognitive assets and physiological preferences strengthens our society and businesses. Life is lived cognitively within the mind and externally through physiological outputs. By understanding their specific cognofile (cognitive profile) through Xyte’s self-assessment tool, individuals can better control their lives and direct their work bringing satisfaction and enjoyment together with increased productivity. Everyone needs respect, recognition, and to feel valued. Great leaders always work to develop others. They value others by developing performance/talent management and behavior-based consistent recruiting. They learn how to supervise, engage, motivate, develop, and reward the company’s greatest assets. A leader makes a huge statement of value when they seek to maximize the skills and strengths of the individuals they lead. Now, a leader can make the most of their biggest investment – their people. It’s what’s in your head that counts!